'Magadheera' is the highest grossing film of Ram Charan. The film, which was released nine years ago, has broken new recordings of the industry's highest ever records. Magadheera set a new record with a grosser of Rs 70 crores. After that many films broke the record. Ram Charan's 'Rangagathalam' is now breaking out. 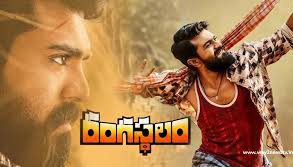 Breakthrough all of this is 'Rangasthalam' which is the highest grossing film of the career. This film has become a new feat by surpassing Magadheera record. The company has crossed the Rs 80-crore mark in the film distributors' share. The brake-up has come to a standstill, say trade analysts. In the pre-release market, the film has made over 80 crores. Now that the entire distributor is going to come .. The film is going to be labeled, says analysts. Even though the release of the film 'Chal Mohana Ranga', trade analysts say that the impact on the theater is limited and the hoard will continue. In the case of theater distributors, the film is worth crores of rupees and it is going to set a new record for the film in Nan Bahubali Records.